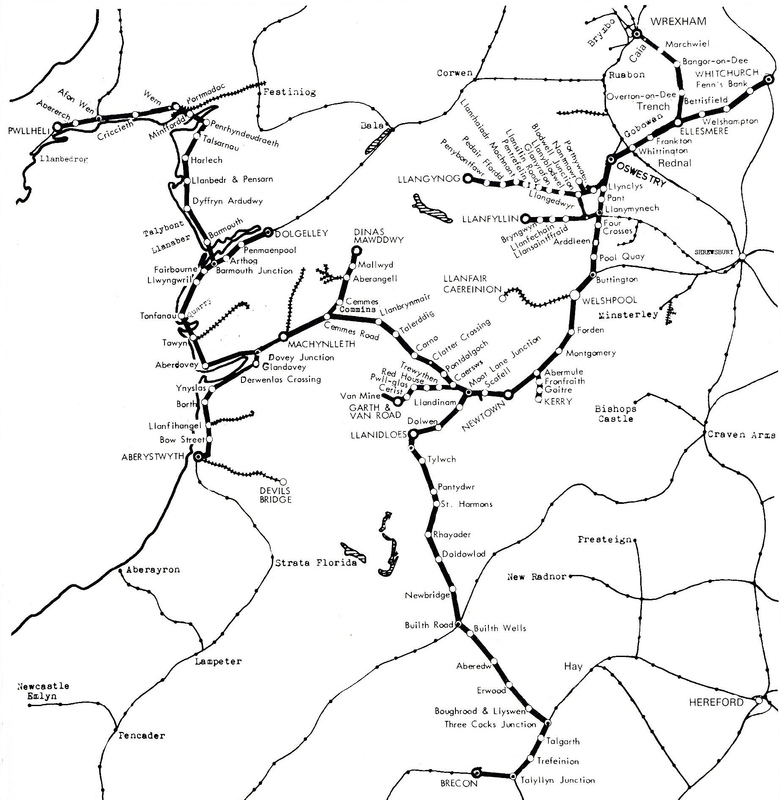 The Cambrian Railways was an extensive network covering much of mid-Wales. The company was formed through an amalgamation of a number of railways that together formed the Cambrian Main Line (see below). Following the Railways Act 1921 the Cambrian Railways became a constituent part of the Great Western Railway on 1st January 1922. The lines subsequently became part of British Railways (Western Region) and the remaining parts British Railways (London Midland Region) in 1963. At the time of writing the main lines to Aberystwyth and Pwllheli remain open. Centred on its headquarters at Oswestry the Cambrian Railways reached Aberystwyth, Pwllheli, Brecon, Whitchurch and Wrexham. Cambrian Railways. - R. Kidner, Oakwood Press, 1992 . Coast Lines of the Cambrian Railways. - C.C. Green, Wild Swan 1993 & 2002. The Cambrian Railways . - R. Christiansen & R. Miller, David and Charles 1967 & 1971. North Wales Branch line album C. C. Green, Ian Allan, 1983. ISBN 07110-1252-0. The Mid Wales Railway (Scenes From The Past ). - Derek J Lowe, Foxline Publishing. Six Railways to Merthyr. Hodge John, WRRC, 2014. ISBN 978-09527267-7-7. Cambrian Railways Working Time Book. WRRC, 2014. ISBN 978-09527267-6-0. WRRC Journal Volume 1 No.1 & No. 2. 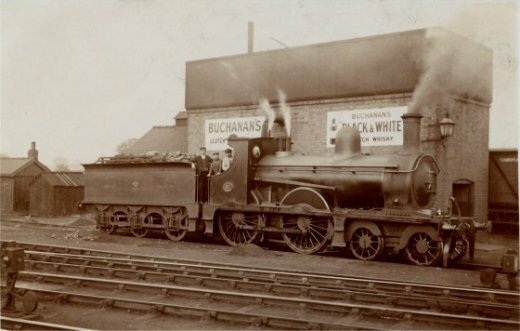 Cambrian Railway coaching stock. WRRC Journal Volume 1 No.5. Cambrian small goods. WRRC Journal Volume 2 No.10. Through carriage workings of the Cambrian Railway. Railway Magazine, December 1918. The Mawddy Railway. Railway Magazine, January 1908. The Welsh Kerry Express. Railway Magazine, October 1903. The Cambrian Railways Modern Rolling Stock.